Everyone likes taking pictures every now and then. You might be only a holiday photographer, or mainly an Instagram photographer, but when you do take pictures, you want them to look good. Especially if you plan on sharing them or printing them. Professional photographers know all about compositions, and have the patience and equipment to get everything just right. But do you? If you’d rather point and shoot without worrying about the best composition, an innovative service called Croppola can do the work for you. Croppola is a simple web app (Firefox or Chrome) to which you upload your photos, and depending on the aspect ratio you choose, it automatically crops images according to its own composition algorithms, supposedly reaching the perfect composition. And the best part – it’s completely free. Curious? Read on to find out how it worked with my photos. Croppola’s main purpose is to create great compositions, but it can also be used to easily batch-crop images to any size you wish. Ready to get your photos cropped? Start by uploading them to Croppola’s server, so it can use its composition A.I. to calculate the perfect crop for you. Don’t worry, your photos stay on their server only for 30 minutes, after which they’re wiped off. You can choose an aspect ratio for your photos, or not bother with it, which leaves the aspect ratio the same as the original photos. 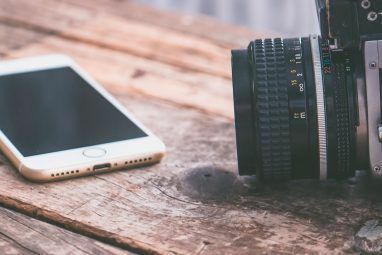 There are some useful aspect-ratio options you can choose from, though, such as square (good for great Instagram compositions), 3:2 (if you want to print your photos), 2.67 for perfect Facebook Timeline covers and more. Croppola’s algorithms are rather fast, and you’ll start getting crop suggestions almost immediately. For each suggestion, you can click the Preview box to see what it looks like cropped, zoom in, change the crop as you see fit, or delete the photo entirely. The Preview option is especially useful: when you tick this option, you get to see the new version of your photo on white background. You can then play with the crop if you wish to change it, and see exactly what the new image looks like without having to keep applying the crop. This is a very useful feature even if you do your compositions yourself. If you change your mind about aspect ratio mid way, you can always return to the top, choose a different one, and re-calculate all your crops. It only takes a minute. Now that all your photos are cropped to your liking, you’re only one click away from the finished product. Scroll down and click “Download Cropped Images”. You’ll receive a zip file containing all your cropped images, conveniently named with the same file names, with “Croppola” appended at the end. That’s all there is to it. You can now share, print and just enjoy your photos in their better version. 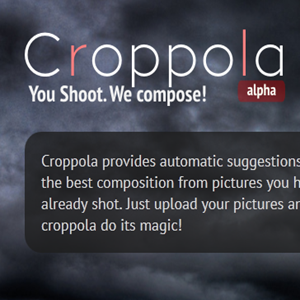 According to its website, Croppola is still in Alpha, which means it’s all very preliminary. Considering its young age, Croppola is very well made and does a fantastic job with the cropping. My photos definitely made the algorithm’s life harder since they were taken with composition in mind as it is, but it still managed to get good versions out of most of them, even when the subject of the image was an animal or an object. If you don’t pay any attention to composition when taking photos, Croppola can transform them into something far more pleasant to look at. And if all else fails, it’s still one of the best-looking and fun-to-use cropping tools I’ve seen recently. How did Croppola do with your photos? Tell us in the comments! cAN'T GET IT TO START ! I love photog. I may love you but I'm terrible at computing. pls excuse me but help me get it. I'm sorry, but it's very hard to troubleshoot a problem like this when I have no idea what's going on. All I can recommend is to try again. What do you use? Internet Explorer? Mozilla Firefox? Google Chrome. Find one of these names on your desktop. Deserves two awards: one for simplicity, and one for the coolest app name I've heard in a long time!